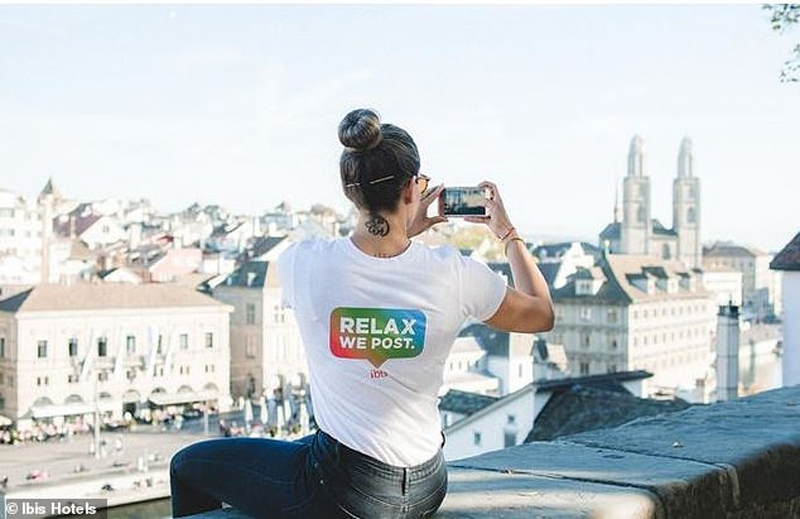 "Relax We Post" is a new service offered by Swiss hotel chain Ibis Hotels to guests who want to take a break from social media and enjoy their holiday, but still keep their accounts updated. All they need to do is share their Instagram login details with the hotel's "Instagram sitters" who will post photos and stories on their behalf and even reply to comments. Instead of focusing all their attention on taking cool photos to post on Instagram, social media addicts staying at one of the 17 Ibis hotels in Zurich and Geneva will be able to enjoy their vacation while Instagram sitters do all their work for them. For the Relax We Post service, the Swiss hotel chain teamed up with with over 10 well-known influencers, including Anna Maradan, Cristina Gheiceanu, Pascal Erband and Elay Leuthold, who will login into guests' Instagram accounts and post high-quality photos, cool Stories as well as reply to comments. "This new service offered by Ibis Switzerland is one of a kind. We pay close attention to current trends and make constant updates to the services at our hotels, ensuring we are able to offer our guests a range of modern, innovative ideas to make their everyday lives easier," Philippe Alanou, senior VP of operations at AccorHotels Central Europe, said in a press release. "Relax We Post is part of our mission to ensure hotel guests enjoy unforgettable experiences when they stay with us." With Relax We Post, Ibis aims to eliminate the stress of being active on social media from their guests' holidays without actually asking them to stop posting beautiful photos during their stay. At the same time, the company hopes that this ingenious promotion will increase its own profitability. Considering that around 40% of travelers now choose their destinations by how "instagrammable" they are, and that user generated content is a key driver for hotel conversion, the ingenious service may just give Ibis an edge over the competition.